The fact that video content amplifies the effectiveness of digital marketing should not come as a surprise. After all, as digital technology evolves, multimedia becomes a more entertaining experience for users. However, with the wrong approach, your video content could fail to deliver the desired results. Which one would compel you to try the latest steakhouse in your town? A 30-second video on how a 16-ounce Porterhouse steak is grilled and served on a plate with baked potatoes and steamed vegetables or a one minute read? 100 Million – The number of hours people watch videos on Facebook. 5 Billion – The number of videos watched on YouTube on a daily basis. Video is a powerful driver of content because it is more effective and efficient in delivering your message. It appeals to multiple senses: sight, sound and feel. A 30 to 45 second video can compel a viewer to take action more immediately than text content that will require a reading time of one minute. However, posting videos for the sake of having video content on your blog or social media will not produce your targeted outcome. On the contrary, it may work against you. The key is to put thought and strategy behind your videos. Like all marketing concepts, it must have direction, purpose and objective. The great thing about digital marketing is that it allows you to focus your efforts on a target audience. If you’re offering coaching programs for running, your investment in marketing will yield low returns if your distribution channel reaches more smokers than fitness or running enthusiasts. Digital marketing has tools that allow you to fine-tune your marketing efforts toward potential buyers of your product or service. Two of its most effective and popular tools are social media marketing and blogging. These two strategies go hand-in-hand. You can always post your blog on your social media page and include a link back to your website. As we had written in our article, “How To Choose The Best Social Media Platform For Your Business”, not all social media platforms can generate the results you want. Some types of businesses work with certain platforms more than others. If you have a highly-visual product, Instagram, Facebook, Pinterest, and YouTube may work for you. If you plan to use videos to launch promotions and to acquire more followers, Twitter and Facebook should be the platforms of your choice. Don’t spread yourself out too thin. If this is your first time to produce videos, start out with only one or two social media platforms. Having fewer accounts to manage makes it easier to track performance. What do you want your video to accomplish? If you want your video to inform people of what your business does, you should produce an explainer video. If you want to show your viewers what your product does, you should shoot “How-To” videos. If you want to enhance your reputation as an expert in the industry, you can set up a webinar. You can have more than one objective, but do not attempt to accomplish all of these objectives in one video. You will come out with convoluted content; its message will go in different directions and lead to disengagement with your audience. Instead, the best approach would be to come up with a time-table for your objectives. Then produce the videos according to your schedule. Storytelling remains an effective approach to content marketing because it makes it easier for viewers or readers to process the meaning of your message. A good story turns the viewer from a mere observer to a vicarious participant. He/she is transported from the computer screen to behind your lens. Storytelling gets the audience more engaged with your content. Videos are effective but only to a point. Whether it is text-based or video content, people have a short attention span. A study by Microsoft showed that people have an attention span that is shorter than a goldfish. However, this doesn’t mean you should produce six-second videos. You can’t deliver your message if the video is too short. The length of your video would depend on the type of video you produce. As effective as videos have been proven to be, it should not be the focal point of your digital marketing campaign. We recommend integrating video as part of your digital marketing campaign to give you a more holistic strategy. A diversified digital marketing campaign will allow you to reach a wider audience. Remember, not everyone prefers videos over text-based content. Also, some audience members may have difficulty accessing your videos due to problems in Internet connectivity or web hosting issues. It will also streamline your costs. Text-based content remains an effective medium for delivery and is comparatively cheaper to produce than videos. Producing good quality videos will require you to invest in hardware. You have to use hardware that can ensure great image and audio quality. Now, before you think you will have to break open your bank account, advances in digital technology can make you produce awesome videos on a limited budget! Smartphone – If you have an iPhone 5 or higher, you can be sure to have the ability to shoot amazing videos. For example, the iPhone 6 reportedly can shoot 4K videos which offer great resolution and audio quality. Camcorders – There are many affordable camcorders that you can buy from online retailers like Amazon or eBay. Many of these cheaper models can still shoot great quality videos. Tripod – You wouldn’t want your video to give your viewers a migraine! A tripod will keep your camera stable without having to ask someone to hold it for you. Microphone – A lavalier microphone is cheap but will significantly improve the sound quality of your videos. If you plan to shoot videos while on the move, you should use handheld sticks for camcorders or smartphones. These handheld sticks have motion-stability sensors which keep your videos stable even while you are moving vigorously. There’s no such thing as a perfect video but at the very least, you should try your best to enhance it. Video editing apps will help you bring out the details: color, contrast and reducing unwanted background noise. If you have the ability to compose music, there are video editing apps that you can use to add an original soundtrack. How about closed-captioning? There are video editing apps that can do that as well. You can find video editing apps for a PC desktop or a mobile device. It’s all about enhancing user experience. Little things such as coming up with an amazing opening credits scene, speed level changes and perfectly-executed quick cuts can turn your video from ordinary to memorable. In our article, “Why You Should Never Host Your Own Videos On Your Own Website”, we discussed two ways you can post video content on your website. Embedding a video is a better option than self-hosting a video. It will be more accessible and will give your audience a better viewing experience. When embedding a video, make sure you optimize its size to the width of your blog page. The width of the video should not exceed that of the blog’s column for the content. You’ll be surprised how observant some of your viewers are. They can easily point out these mistakes and call you out for it. One of the guiding rules of marketing is to give your audience some context before delivering your content. It is a good idea for viewers to know what to expect before the video rolls on. You can use a closed-caption or transcription app to embed a few sentences that will set up your video content. Great content should be compelling. It should initiate action. So what do you want the viewer to do after watching your video? Do you want him/her to subscribe to your YouTube channel? Do you want him/her to sign up for your newsletter? Without a Call- to- Action, your efforts as well the viewer’s time would end up being wasted. Using videos is a brilliant way of adding more value to your social media and blogging content. Integrating video to text-based content is like the one-two punch combination in boxing: it is a classic combination that will yield good results. However, you need to spend time planning the production schedule of your video. The days of point-and-shoot, ragtag videos are over. Viewers are more discriminating of the quality of video content and its production values. You do not have to hire a movie company to produce your video. Today’s devices, including the latest versions of the smartphone, are good enough to produce high-quality videos. It also pays to take production levels a step higher by using editing apps to make your video content really stand out. Are you planning on using videos for your blogs or social media? Give us a call or an email and we can schedule a call or a sit-down meeting at your convenience. Adding videos is definitely a move in the right direction. We will make sure that the videos will help you achieve its intended goal. Social proof is the phenomenon whereby consumers’ actions are influenced by the experiences, attitudes, and opinions of other consumers. Let’s assume you are on the market for a new smartphone. What would influence your decision more: reading marketing copy on a smartphone’s features or hearing the experiences and opinions of a few trusted friends? Chances are you would put more weight on the testimonies of your friends. You trust their opinions more because you know they would not give you a bad recommendation. This is an example of how social proof works and why many businesses continue to use it to build trust and reputation for their website. Highlight customer testimonials on your website. Cite actual case studies that addressed specific customer pain points. Find reputable influences who can endorse your product or service. Invite customers to post reviews about your product or service. Substantiate key information with actual numbers. One of the most popular quotations on social behavior goes like this: “When someone talks a lot about himself, it only means no one is talking about him.” The same message can be applied when using social proof for your website. The purpose of web copy is to entice the visitor to explore the website further. As a rule, web copy content must be able to present the brand’s value proposition within a few seconds. Otherwise, the visitor might just click out of your website. By contrast, if the same consumer comes across customers’ testimonies, product ratings, and reviews, the perception of your brand will change. Testimonies, product ratings, and reviews are examples of social proof techniques that you can use for your website. They have the ability to boost your claims because like your friends’ opinions, they have nothing to gain by giving you a bad recommendation. In this day and age where the Internet has made information more accessible, it should be safe to say most consumers think that way. The Internet has shifted the balance of power to the consumer. Gone are the days when businesses could write anything about their product or service. It didn’t matter if the product delivered on the promise. Businesses could get away with “false claims” because consumers had the platform to air their views and grievances. The Internet changed all that with the proliferation of social media networks, chat forums, and product review sites. Today, the fortunes of a business can change overnight with a single post or image that goes viral. Businesses have learned to stay on their toes and be more accountable for their claims and the information they publish. 70% of consumers in America search and read reliable product reviews before making a decision to purchase a product or service. 63% of consumers will patronize a website that publishes both its product ratings and product reviews. If your business website has not incorporated social proof as part of its content marketing strategy, now is the time to do so. You’ve probably come across all of the social proof techniques that will be discussed in this section. They are used in E-Commerce sites, social media business pages, blogs and online forums to name a few. Social proof is important for consumers because it helps them make educated decisions. As we mentioned earlier, the Internet has leveled the playing field between the consumer and business. With the Internet, consumers can do research before making a decision to buy a product or patronize a service. The reason is obvious: They want the best product or service for their hard-earned money. When you have social proof available on your website, you make the research process easier for the consumer. That is why they prefer to visit websites that provide social proof. The best endorsers for your products are the end users. Customers who are happy with the consistency and quality of your goods will become loyal to your brand. They will openly promote your brand because they are proud to be affiliated with it. Instagram is one of the most popular social media platforms on the Internet. People love to take and post pictures! As the old saying goes, “a picture is worth a thousand words”. Businesses have taken note of this. Companies specifically search for User-Generated Content (UGC) on image-based sites like Instagram that feature their products. Once they come across UGC about their products, they can repost it from the Instagrammer’s account. According to a survey, 76% of consumers trust UGC more than brand marketing copy. If you come across UGC that is related to your business, whether it is an image or a post, reach out to the person who made it. Ask that person if you can repurpose or reformat the UGC on your website and social media pages. Testimonials are powerful influencers because these are seen as honest and sincere endorsements of your products or service. Business consultancy firms often feature testimonials from multiple clients on how the services have helped them generate record- setting revenues the previous year. If you want to add more power to your testimonials, put them in video format. We’ve discussed how videos can boost your marketing strategy in our article, “How to Use Video Content in Marketing”. Videos are effective because they appeal to multiple senses: sight, hearing and of course, it can create emotional connectivity. The use of video can deliver your message faster and more efficiently than text. A good strategy would be to produce a video that includes several testimonies from clients and customers. Then we will embed it on your website’s home page. The use of case studies is an example of a great target marketing strategy. We define a case study as a more detailed testimony because it relates how a product or service addressed a specific concern of a customer. Users that run multiple tasks at the same time. The more case studies you can present, the more specific user concerns you can address. You can cast a wider net and target a larger market of potential customers for your products or services. Like testimonies, case studies are more effective when published in video format. Influencers are people who are widely recognized and respected in the industry. They are generally viewed as experts and their opinions are highly regarded by consumers. Influencers create a lot of pull for products and services they endorse because consumers see it as a “seal of approval”. Influencers are not necessarily celebrities; although Oprah Winfrey often promotes products openly without remuneration. The advantages of connecting with influencers are that you can leverage your brand with their reputation and at the same time gain access to their followers. Customer reviews are commonly found in E-Commerce sites such as Amazon. As we discussed earlier, adding customer reviews on your website will make the research process easier for your visitors. Studies show that 63% of consumers tend to purchase a product from a website that features customer reviews. Another study revealed that consumers trusted websites that have customer reviews 12 times more than sites that don’t. Lastly, don’t be afraid of getting negative reviews. Consumers know there is no such thing as a perfect product or service. A business that only publishes overwhelmingly positive reviews comes across as “hard sell”. Publishing negative reviews “humanizes” your brand and makes it more relatable to consumers. In ways, creating marketing content is like applying for a job. The resume is your marketing tool and you need to impress the Hiring Manager enough to grant you a job interview. Hiring managers will not spend more than a few seconds on your resume. One of the most effective ways to attract their interest is by citing your accomplishments. However, citing accomplishments without substantiating them with actual numbers is tantamount to committing hearsay. Consumers want to see how your business has contributed to the success or well-being of its end users. A good example would be the job search website Elance; now known as UpWork, which proudly proclaimed it helped freelancers earn over US$1 Billion. A good strategy would be to validate testimonies with actual numbers. Going back to our example with the business consultancy firm, a client could state that the service helped their business generate 400% more revenue over the last two years. Social proof is a proven way of building trust and enhancing the reputation of your website. Today’s consumers are more discriminating. They will harness the power of the Internet to find information that will help them make educated decisions. By incorporating social proof on your website, you make the research and decision-making process easier for your site visitors. You may be rewarded with a purchase but most certainly, social proof strategies such as product reviews, video testimonies, and case studies will result in higher rankings in Google. You have nothing to lose and everything to gain by including social proof content on your website. Even negative reviews can have a positive effect on humanizing your brand. Did you enjoy the article as much as we did writing it? If so, please don’t hesitate to share it with your family and friends. And if you have experiences, information or opinions that you want to share with our readers, please feel free to use the comment section below. If you want to know more about the benefits of social proof and how to include them on your website, please give us a call or drop us an email. If you want to capitalize on the opportunities presented by the Internet, setting up a website for your business is the best way to go. People use search to find what they need online. And if your website ranks high in the results page, more people will be encouraged to click on your link and learn more about your business. But in order to climb up the search rankings, you need to increase your website traffic. With more than 1.3 billion websites serving over 3.8 billion Internet users, competition could be very tough. Would it still be possible to move your website up the search results page? The answer is “Yes”. If other websites can do it, there is no reason why you can’t. But the first step is to create more inbound traffic to your website. The more traffic you get, the greater the probability of converting a visitor into a paying customer. Digital marketing remains an effective strategy for driving more traffic to your website. It organizes all the online tools and processes into a system that is focused on accomplishing your marketing objectives. The big advantage of going digital is that you can customize your online marketing strategies to meet the needs and concerns of potential end-users of your products and services. You are not blindly distributing marketing collateral to the billions of people on the Internet. Instead you are target marketing to a specific audience or segment that has the highest probability of being interested in what your business has to offer. We advise that before you identify the processes you want to include in your digital marketing tool box, you should first build its foundation. A buyer’s profile summarizes the qualities and characteristics of a potential customer for your business. It will help you determine the best topics to write about and the most effective channels to distribute your content. Research is a crucial part of business development whether you are a small or large enterprise. If you want to remain competitive, you have to be constantly updated on developments regarding your industry, your market and of course, your customers. If you want your digital marketing efforts to reap dividends, you have to stay active. This means you have to commit to a schedule for creating and distributing content, building networks and engaging with followers. The more active you are, the greater the chances of your content being read by your audience. Perhaps the biggest benefit of digital marketing is the availability of on-site analytics. Analytics gives you valuable data on your website: the number of visitors per day, the most read content and where your traffic is coming from. These types of information can be used to fine-tune your digital marketing strategy. These are the key principles to keep in mind when running your digital marketing strategy. They will help your campaign stay current and on track of the marketing objectives you want to accomplish. In order to increase traffic you should build “roads” or “avenues” that make it easy for Internet users to search and find your website. The processes that we discuss in this section continue to be go-to strategies for digital marketers because they have consistently delivered results. SEO is the process of using a variety of online tools and techniques for the purpose of improving your website’s ranking in the Search Engine Results Page or SERP. 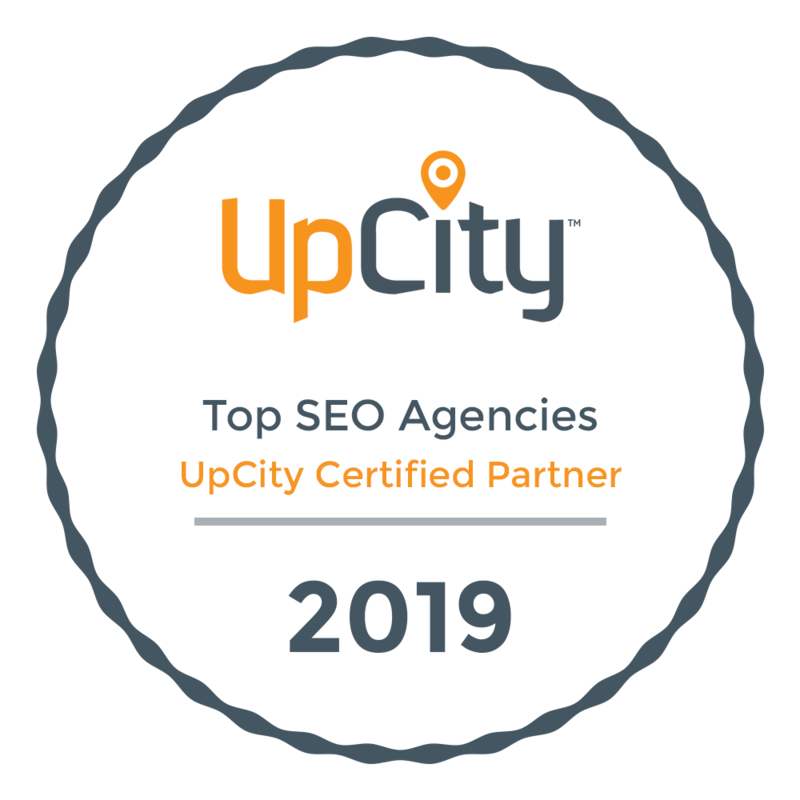 We’ve written extensively on SEO and discussed its many benefits in our articles, “5 Reasons Why Your Business Needs SEO Right Now” and “SEO vs PPC: Which One Is Better For Your Business?”. SEO remains an integral component in digital marketing because the process will always be in a constant state of evolution as search engines frequently introduce changes in their algorithm. Long tail keywords are phrases that are more descriptive in order to fine-tune the search query. For example, instead of using the keywords, “bmw tires” a long tail keyword search would read, “how to maintain bmw tires cold weather”. This will produce links on the search results page which are closer to the information that the Internet user is looking for. Thus, during the research process, SEO practitioners are starting to focus on long-tail keywords as the basis for evaluating competitiveness. Search engines will reward you with a boost in the rankings simply by updating content. Let’s say you wrote an article on intermittent fasting that was published three months ago. If you updated the content by adding the information “Scientists have discovered that fasting for 24 hours increases the rate of autophagy by 300%”, the search engine would move you up slightly in the rankings. It will then assess how your new ranking compares to the performance of the website you displaced. If your website does better, it will keep you at the new ranking or potentially move you up higher. SEO is a strategy that will keep finding new ways to optimize and improve delivery of content so that more people will continue to visit your website. Content marketing continues to be an effective strategy for increasing website traffic because people will always look for content online. This is the importance of constantly creating fresh, new, relevant, usable and engaging content and distributing them through a variety of platforms. The more content you create and publish, the higher the probability of your materials being found on the Internet. People will voluntarily follow websites that consistently produce great content. B2B marketers that blog generate 67% more leads. Marketers who prioritize blogging are 13 times more likely to achieve positive ROI. Companies that blog receive 97% more inbound links. But you don’t have to limit yourself to blogging. Another emerging strategy in content marketing is video content marketing which we discussed in detail in our article, “How To Use Video Content In Your Marketing”. Videos and the use of images have become popular because they can generate immediate results. For example, if you are in the business of selling organic fruit preserves, you can upload photos or “pin” them in Pinterest. Every image pinned in Pinterest will contain a link to your website. All you have to do is produce high quality images of your fruit preserves and hope they can entice the Pinterest community to click on your pinned product shots. If they like what they see, they can easily go to your website to learn more about your business and its products. SEM uses paid strategies such as PPC or Pay-Per-Click advertising to increase website traffic. With PPC your ads are placed in results pages that feature links relevant to the search query. For example, if you are a restaurant that offers pizza delivery services, your paid ad will come out at the top of the results page that features inquiries on “pizza delivery services”. An Internet user who finds your paid ad interesting and clicks on it, will find himself/herself on your website. There you can showcase an interactive menu and navigable delivery ordering system which can help you convert visitors into paying customers. Search engines offer paid ads as a quick-fix solution for businesses to have their websites move up the top of the search rankings. Social media platforms such as Facebook and YouTube also offer paid ad options. Facebook Ads can run your paid ad through three other platforms: Messenger, Audience Network and Instagram, which the company bought in 2012. With Facebook Ads, you can customize your ad according to your buyer’s profile. Audience Network will place your ad in apps and websites that fit your buyer’s profile. Having a paid ad on YouTube is a sure way to rocket up the search rankings because it is owned by Google and is a component of its algorithm. Social media marketing can help your business increase its website traffic because it provides you with several channels to distribute content, build communities of followers and opportunities to engage potential end users. Facebook – Largest online community with over 2 Billion members. Facebook has its own personal messaging system, Messenger. Twitter – Short messaging system assures you of high level of activity and engagement. Instagram – Image-based platform that is ideal for businesses with highly visual products and services. For example: fashion retailers, restaurants and real estate. Pinterest – Another image-based platform that makes it easy for members to collaborate with others in the community by setting up pinboards. LinkedIn – The preferred social media network of professionals. Ideal for networking activities and connecting with key influencers in your industry. LinkedIn also has its own publishing platform where you can post your blogs. YouTube – The largest video streaming network and the second largest search engine. As mentioned, it is now owned by Google which is the largest search engine on the Internet. How can you use social media to increase your website traffic? Open a business page where you can publish your blogs. Include a link to your website so visitors will know where to find more information about your business. In addition to Pinterest, use Instagram and LinkedIn’s ShowCase page feature to highlight high resolution images of your products and services. Customers appreciate businesses that take the time to address their needs and concerns. If a follower posts a comment or question, use the opportunity to share your knowledge and expertise. Engagement is the first step to a relationship. In time you will develop trust with your audience. Consumers prefer to deal with brands they can trust. Do you have a new store opening? Are you launching a new product? Do you have a limited-time only discount offer? Send out 12 to 20 tweets about the event via Twitter and include a link to your website so interested parties can get more details. Email marketing is an effective strategy for increasing website traffic for your business because your content will be voluntarily accepted by the recipient. The key to the success of an email marketing strategy lies in your ability to create a mailing list. Regular Engagement – As discussed in the previous section, if you engage with your audience frequently, you will develop trust and a solid relationship. You can ask them to join your mailing list. Calls to Action – When you are consistently putting out great content, expect more people to visit your website. Incorporate enticing calls to action such as free newsletter sign ups or giveaway ebooks and manuals in exchange for email addresses. Once you have built a mailing list, you can regularly send relevant and usable content to your recipients. These could be helpful “How To” tips or updates on your products and services. Always include a link to your website so they know where to go for more information. Do not get complacent because the inbound avenues which you created have driven substantial traffic to your website. Stay active and constantly monitor the performance of the strategies in place. For your business to remain competitive and relevant in 2018 and beyond, your website has to maintain a dynamic presence on the Internet so that your products and services will be found by your target audience. If you want to learn more about increasing website traffic in 2018, please feel free to give us a call or an email. We will get in touch with you right away. And feel free to comment on this article. We welcome your opinions and we would appreciate it if you could share some of your experiences with our audience. In our last 5 articles, we’ve covered at great length how having a website can build your business. Putting up a website for your business is definitely a step in the right direction. It will differentiate you from the 50% who still don’t have one. But a website by itself will not bring in business. You have to invest time, effort and resources to generate inbound traffic on a consistent basis. Of the strategies you have at your disposal, content writing has been proven to be the most effective. And the cornerstone of an effective content marketing campaign is the blog. This is the reason we devoted our last 2 articles, “Why You Should Have a Blog” and “Blogging 101” to creating a blog. Hopefully, our articles have convinced you to start blogging for your business. If you have decided to put up a blog, then you’ve come to the right place! We at Mountaintop have helped many entrepreneurs and companies set up their blog and we certainly can help you with yours. As we discussed in “Blogging 101”, it is better to integrate your blog page in your website. In that article, we discussed 5 benefits of having 1 website for your business and your blog. In terms of SEO, a single website will boost your chances of moving up the search rankings than having a separate blog page. If you already have a website, we can create a blog page for you. If you don’t have a website, then we can design one that best fits your business and include the blog as one of its key pages. Your website must be mobile-responsive; it should have the ability to accommodate the screen sizes of a variety of mobile devices. Your website must be fast and easy to download; you can lose potential customers or followers if your website loads slower than 9 seconds. Your website must be accessible by different browsers; Users will view your website from within a variety of browsers. Each browser will display your website differently, which means users could have different experiences with your website. It is critical that your website be designed and tested in multiple browsers to ensure the user experience is the same. Your website should have fully-functioning features with shareable content; its buttons and social media icons must be in working condition all the time. Otherwise, you might miss opportunities for opt-ins or social sharing of your content. Your pages must be optimized; no matter how beautiful the images and content are, if they can’t be found, they will not bring in much traffic. Search Engine Optimization (SEO) must be implemented to increase the probability of readers finding your content. Your website must be self-hosted; having your own domain name is more professional. A self-hosted blog will give you more flexibility, control and a wider set of options. The first 5 points are standard qualities of web design. They all deal with enhancing User Experience or UX. But the sixth one is of particular interest if you want to have a blog page. The other option would be to have a website hosted by a Content Management System (CMS) such as WordPress. If Mountaintop opted for a hosted website, our domain name would read: www.mountaintopwebdesign.wordpress.com. Not only is the URL too long but having the “.wordpress.com” does not give our company the prestige it deserves. There are also limitations to a hosted site. For one, we won’t be able to upload images and videos. If you want your blog to be well-read, it should have high-quality images or videos that are relevant to the content. Not only do images and videos add substance but it can influence more people to read your blog. Lastly, with a hosted website, you don’t own your blogs. Since it is hosted on another entity’s web property, they can delete it whenever they want to. Hosted sites have done this before and they will do it again. You have no control over the fate of your blog. Think of it; hours spent researching and writing content could be gone within minutes. As we stated in “10 Benefits of a Website for a Small Business”, a website is not an expense. It is an investment where you can expect a return within a period of time. Don’t hold back on your website by using free, downloadable templates. Remember the old saying, “No such thing as a free meal”. What you save up in a few dollars and cents may cost you thousands of dollars worth of foregone opportunities. The website is your online business address. Don’t just live in it; own it! With Mountaintop Web Design, you have nothing to worry about. Not only can we provide you with beautiful-looking and fully-functioning mobile responsive design, but we also offer web hosting services that will fit your business needs and budget. It sharpens up your writing skills; everyone has the ability to become a blogger. You just need to dedicate time in a day to write. You are able to articulate ideas better; when you blog, you want to make sure the average reader will understand your content. In a way, it forces you to simplify information without compromising its overall value. It’s a great way to firm up your knowledge on any topic; research is a must in blogging. Even if you are an expert on the topic, you should always conduct thorough and updated research before putting content in blog format. It improves your confidence; the saying “knowledge is power” holds true when it comes to blogging. As your proficiency in a topic improves, so will your level of confidence. Opens new doors for opportunity; many bloggers have been discovered by reputable online sites such as Forbes, TIME, Huffington Post and Entrepreneur. They’ve been offered the opportunity to write for these publications and promote their own websites as well. But blogging takes tremendous time and effort. Hollywood actress Gwyneth Paltrow considers writing for her website Goop her full-time job. Including research and depending on the complexity of the topic plus its targeted length, it may take you anywhere from 4 to 12 hours to complete 1 blog. That is time best spent managing the core functions of your business. While blogging has been proven to be an effective business- building strategy, it is not a core function but rather a specialized task. It requires a specific skill set and demands its own time. Another option you should consider is to outsource your blogging to a professional writer. Outsourcing is a process that started out as a way of helping businesses reduce costs. Instead of setting up a new department; accounting for example, a company would just outsource it to a third party. Thus, the company did not have to pay salaries, employment benefits, rent, Internet bandwidth and the usual schedule of expenses that came with hiring full-time employees. Other than reducing your costs, outsourcing content will also allow you to focus more time on the core functions of your business while being assured your blogs will be expertly- written, optimized and delivered on schedule. We have a roster of talented writers all of whom can craft high-quality blogs for you. If you’ve read our articles on blogging, you can be assured we know our stuff! What can you expect from our writers? Well- researched, fresh and original content. Topics and titles that are relevant to your business. Blogs that are written in a conversational and engaging manner. Well- balanced, keyword- rich content. Discussion on blog topics and titles – You are the expert when it comes to all matters related to your business. Let us know which areas of the business or the industry you want us to blog about. We can do keyword research to come up with suggested titles that your audience may be looking for. Review on submitted drafts – If you’ve heard interviews on Sir Richard Branson, you probably hear his voice when reading his blogs. The tone of his blogs capture the same personality you hear during interviews. This is why we like to say the blog is your voice on the Internet. When we submit a draft for you, let us know if this is how you would talk to someone interested in your services. We will make the necessary edits and revisions on the blog until you are confident that the content accurately captures your voice and ideas. Because you own the blog, you will reap the expected benefits from it. You can monetize a blog through paid ads and product reviews. It is also possible that blog sites that have enjoyed your content would offer you a paid opportunity to write for them. Keep in mind that the most successful bloggers in the world also employ other writers on their teams. They start out blogging but eventually outsource work as their business begins to gain traction. Once you have given final approval of your blog, it would be time to publish it on your website. But that is not enough. Even with an optimized website, you still have to work on distributing content. This is where Digital Marketing comes in. Digital Marketing is a process which utilizes a variety of tools, techniques and strategies for the purpose of generating more traffic to your website. Some people alternatively refer to Digital Marketing as Online Marketing or Inbound Marketing. Regardless of the terminology, it is about creating buzz that will entice enough people to seek out your content. You can read up on these processes in our articles, “The Basics of SEO” and “How to Drive Traffic to Your Website”. Similar to blogging, Digital Marketing is a specialized task and demands its own time. The first step is to draw up a Digital Marketing campaign strategy. This is summarized like a “calendar of events”; it summarizes the list of activities that will be undertaken for a specific month. Running a campaign presents its own set of challenges. In order to have a successful campaign, you have to be dedicated to the schedule. Planning a campaign is one thing. Implementing it is another. Create a schedule for the production and distribution of content to various social media networks. Review, edit and finalize all submitted content. Qualify all websites that should be targeted for guest blogging or link building opportunities. Regularly check all social media networks for engagement. Prepare customized invitations to connect for pre-qualified potential contacts. Conduct web analytics to evaluate the performance of the Digital Marketing campaign. Prepare, submit and discuss performance reports with the client. Exhausting right? The good news is we can design, implement and oversee a Digital Marketing campaign for you. We have experienced Digital Marketers, SEO professionals, social media experts and as mentioned earlier, fantastic content writers in our team. We can get this done for you while you focus on managing the key activities of your business. So if you’re serious about launching a blog on your website, please drop us an email or better yet, give us a call. We can give you a more detailed presentation on the blogging process and how we can help your content generate traction on the Internet. As we discussed in our previous article, “Why You Should Have a Blog”, blogging is a proven strategy for building your business. It gives you a platform to share your expertise to a targeted audience. If you are able to consistently provide usable, relevant and accurate information to your readers, in time, you will generate high-volume traffic to your website. But blogging isn’t just any writing activity. Blogging requires thought, strategy and purpose. So we’ve decided to offer you this free course on the basics of blogging. Let’s call it Blogging 101. Where Should You Set Up Your Blog? Some people have a blog site that is separate from their website because they think it will help drive more focus on its content. But in reality, having a separate blog site will negatively impact your inbound marketing efforts. If you want to start a blog, there is no question that you should set it up in your website. A professionally made website is built and designed to represent your business in the best way possible. But a blog site often looks like an assembly-line WordPress template. Integrating a blog page with the website keeps your branding strategy intact and consistent with your inbound marketing campaign. Always keep in mind your purpose for blogging. You want to build your credibility and reputation as an expert in the industry. A separate blog site can lull you into a sense of complacency and take you off course. You might end up blogging more about topics that are not related to your business. Social media is a great way to distribute content. Having only 1 website makes it easier to share content with your followers in various social media channels. It will also be more convenient for your readers to link back to only 1 website. If you think that having a link from your blog site to your website is a bonus, think again. A separate blog page may actually hinder link building to your website as it may attract a market that is different from your target audience. By consolidating your link building efforts to only 1 website, you improve your chances of moving up the search engine rankings. Blogs that are published in a website will be archived. People who visit your website can periodically pull out content from the past which they find usable and relevant to their search. At the same time, you can always re-publish or re-distribute previous content so you can attract new followers. Forget the idea of creating a separate blog page. Set up your blog in your website. Not only will it generate more traffic but managing a single website will make your life less complicated. Getting started with your blog is not as difficult as it seems. If you are blogging for your business, then you should write about topics that are related to your industry or on issues that are of interest to your target audience. Visit the blog pages of your competitors in the industry and take note of the posts that garnered the highest likes, shares and engagement in Facebook and retweets in Twitter. Get organized and create an Excel spreadsheet which lists the headlines, topics, number of shares and retweets. Use Google Trends and Google News to find out what topics are trending high in your industry. Conduct a few searches and read up on content that cover these hot topics. If the blog has a comments section, take time to go through the level of engagement between readers and the writer. You should note down points of contention, areas of the subject matter that resulted in highly charged engagement and issues that may not have been resolved. Another approach is to run a simple keyword search using Google Keyword Planner. All you need to do is set the parameters of your search then type in your keywords. For example, if you have a fitness website and you don’t know whether you should write a blog about High Intensity Training or Cardio Training, type in those keywords and see which one garnered more searches. You will come across several keyword topics. Choose the keyword topic which has a good number of searches but is the least competitive. The golden rule of blogging is to always write for your audience. So why not go straight to them and find out what they want to read about? You can conduct a survey as an opt-in in your website or in your Facebook company page. Popular social media networks such as LinkedIn, Facebook and Google Plus have many different focus groups that you can join. Start a discussion thread on a topic you have been thinking about and see how many community members will join in and engage. As your number of followers and page visits grow, it will be easier for you to come up with a list of blog topics. You can use online analytics to determine which blog posts had the highest levels of engagement, the most shares and views. You can also engage your audience more closely through frequent email marketing campaigns. Having a large follower base makes online polls or surveys on blog topics more accurate and reliable. In our previous articles, “The Basics of SEO” and “How to Drive Traffic to Your Website”, we discussed in great detail the importance of keywords when writing online content. Keywords play an important role in getting your content found on the Internet. But we will not touch on keywords in this article. You can always go back to our previous blogs to refresh your knowledge about the value of keywords and how to use them in creating content. This article is about writing blogs that your audience will enjoy, appreciate and hopefully, share with their own followers. From our experience working with clients, many like the idea of blogging but are intimidated by the process of writing. They have doubts on their ability to write engaging content. Some subscribe to the notion you have to be a literary of English major to write a blog. Here’s the truth: Anyone can blog. You just need to find the time; which as a business owner should be your bigger concern. Outsourcing your blog to an experienced writer is another option. But if you’re the type who wants to roll up his sleeves and get deeply involved with the business, then you should dedicate time every day to blogging. We identified this as the “Golden Rule of Blogging” and it is a rule that many first-time bloggers forget. Always keep in mind that people search the Internet for content that is relevant or usable to them. Write from the position of your audience and create content that would be of interest to them. This commandment is related to the golden rule. Many first-time bloggers think that by using technical jargon they can impress the audience and enhance their reputation as an expert. If your content reads Greek to your audience, they will click out of your web page. Blog posts that exceed 2,400 words generate the best results for search rankings. Long form blogs give you the opportunity to provide readers more useful information and boost your credibility as a resource. They also keep readers in your web page longer therefore improving your bounce rate. It is important to make reading an easy and pleasurable experience for your audience. You can do this by keeping your sentences and paragraphs short. Harry Potter author JK Rowling keeps her sentences to 12 words. Some writers prefer no more than 20. The general idea is to write informative sentences in the most concise way possible. As for paragraphs, try to keep them to no more than 3 sentences each. If you have information that you need to break down in your blog, use bullet points to make them more organized and easier to read. Bullet points also create white spaces in your blog which give it a cleaner look. Don’t put out a blog just to have content on your website. Focus on giving details so you can highlight your knowledge and expertise. Show your readers that your website is the best resource for credible information. With all the blogs circulating on the Internet, it may take more than great content to hook readers. An effective way to get attention is to come up with catchy titles. List- type articles and “How To’s” are very popular with readers. Have you ever been in a seminar where the speaker seems to drag on with the topic? His presentation is all about figures, statistics and an endless litany of facts. You probably wish you were somewhere else. Write your blog as if you were conversing with your reader. Sometimes give pause to your statements by asking questions to your readers. A conversation creates feedback which could lead to better audience engagement. When you include facts, figures and statistics in your blog, always link back to their resources. You could also cite your references as footnotes. Regardless of the method you choose, you should give credit where it is due. It takes time, money and effort to produce high quality research. By referencing your sources, not only are you validating your numbers but you are also acknowledging the work done by others. As the saying goes, “In theory, theory and practice are one in the same; but in practice, they are not”. When it comes to credibility, nothing beats experience. You can cite as many references as you want but ultimately readers want to know what you have done in the industry. For example, you are writing a blog on “How to Make the Best Home-Made Stews” for your cooking website. In the section “Creative Cooking”, you could write about the time you ran out of red wine for the Beef Bourguignon and used grape juice with chicken stock as the liquid substitute. If you want to maximize the exposure of your blog, you have to take a strategic approach on its publication schedule. According to a study made by Dan Zarrella on 1,400 bloggers, the best time to publish blogs is in the morning. The study showed that close to 80% of Internet users read blogs in the morning and that viewership gradually declines over the course of the day. By nighttime, only 40% of Internet users spend time reading blogs. 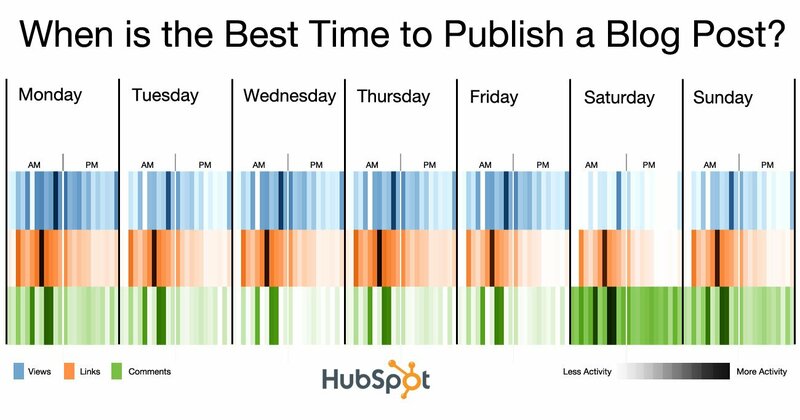 As for best days in the week to publish your blogs, a study by Hubspot on over 170,000 blogs showed that Mondays and Thursdays generate the highest viewership. So if you’ve been thinking about writing a blog, just go ahead and do it! Our Blogging 101 course has covered the key fundamentals and basics of blogging. Like all learned skills, becoming a good blogger takes constant repetition. The more you work at it the better you will get. Did you like what you just read? We would love to hear from you. If we got you thinking about blogging, please feel free to give us a call or an email. We can set up a blog page on your website or help you get a flying start on your business blogging. Statistically, 77% of Internet users read blogs. It is estimated that people are online 8 hours a day and 23% of time online is spent reading blogs. That’s almost 2 hours a day reading blogs. The clients who come to us for website design services love to read blogs. But apparently, many are unsure of how blogging can help their business. A blog is more than just an unlikely pairing of the words “Web” and “Log”. It is a word that is short in letters and syllables but has big implications on business. A blog functions like a journal or an archive. In a website, blogs are arranged in chronological order. It gives the writer or “blogger” a forum to share his or her thoughts, ideas, opinions, knowledge and general opinions on specific topics or areas of expertise. The term “blog” was first coined by Jorn Barger in 1997. The popularity of blogging exploded in 1999 as developers introduced blogging tools and software that were more functional and easier to use. How big is blogging? In the popular blogging site Tumblr alone, there are more than 345 million blog accounts; an amazing 1,132% growth rate within 6 years! Given the growth of blogging as an activity the past few years, it is well within reason to expect that most of the 1 billion websites operating on the Internet today have a blog page. Personal – The broadest category and usually involves personal interests such as music, travel, health and family among others. Business – Used by business owners, executives and influencers to share their knowledge and expertise. School – Provides a platform for teachers and students to collaborate on school projects. Non-Profits – Foundations and charity groups use blogs to increase awareness on their advocacy and to help in their fund-raising activities. Military – Families of those serving in the military use blogs to share their views on the world, to stay in touch with relatives and as a platform to give moral support to military wives and children. Private – Some bloggers put up sites which are exclusive only to select family and friends. Sports – The perfect platform for every sports fan who dreams of becoming the next Miramon Nuevo, Frank DeFord or Rick Reilly. How To, Tips and Reviews – Probably the highest ranking blogs are “How To’s” and other list type articles. Remember, people are always searching for relevant and usable content. Regardless of the type of blog you choose, it can become a powerful driver of business to your website. Blogging is not just an exercise in writing; it is a purposeful, thoughtful and strategic activity that when done with consistency will offer you many amazing benefits. If you want to improve your search ranking; and who doesn’t, listen to Google and work on your website’s User Experience or UX. One of Google’s criteria for UX involves the consistent publication of great content. As we mentioned in our article “The Basics of SEO”, content must be relevant, usable, engaging and unique. When you consistently put out blogs that address the needs of your market and offer actionable solutions, more people will be clicking to your website. You should also blog frequently. Surveys show companies that blog 16 times a month gain 3.5 times more traffic than those that blog only 4 times a month. Here’s a valuable tip when using blogs to improve search ranking: Prioritize long-form content or blogs that exceed 2,000 words. Studies show lengthy blog posts, content that reach 2,400 words, are significantly more effective in pushing websites up the search rankings than short-form blogs. Think of the blog page as your voice on the Internet. It gives you a virtual soapbox to stand on and share your ideas, thoughts and opinions to your audience. Those who read your blog will get an idea of the person behind the business. Therefore, a blog humanizes your brand and gives your business a personality. Why is it important for a business to have a personality? According to Nobel Prize winning psychiatrist Daniel Kahneman, consumers do not patronize businesses because of pricing or by what is stated on the product label. Consumers patronize businesses to whom they have established an aligned purpose. Starbucks continues to sell 4 million coffees every day despite the frequent price increases because consumers know their extra dollars goes to fund numerous charities and foundations. A business blog doesn’t have to be limited to your products and services. Let your audience discover the kind of person you are; your interests, likes, dislikes and opinions on relevant issues. Opening yourself to your audience will help foster a strong relationship that is built on trust and transparency. An inbound marketing campaign normally incorporates tools and processes such as social media marketing, e-mail marketing and link building. Content is a crucial component to these inbound marketing strategies. Sharing the content of others is a great way of generating viewership. But it would be better if you could re-direct the interest to your own website by distributing your own content. Social media draws more than 2 Billion Internet users every day. Facebook alone has more than 1.8 Billion active members. By distributing your content frequently through the vehicle of social media, you can open up new inbound avenues to your website. You can also re-write previous content into a shorter, more condensed format and distribute them as newsletters via an e-mail marketing campaign. Have you ever been in a panel discussion where it is hard to get a word in? A blog gives you the forum to share your ideas, experience and expertise without being unceremoniously cut, interrupted or heckled. If people like your content, they may share it via social media or link to it from their website. This is why blogging should be taken seriously. As we mentioned at the start of this article, blogging is not just an exercise in writing. You should not post content just for the sake of putting a blog out there. Whenever you publish content, you are competing for the attention of a specific audience. You must prove yourself as the more credible resource in your industry. Always write for your audience or target market; find the issues that concern them and offer actionable solutions. Do not attempt to impress your readers by using technical jargon. People click to your link to be informed; it is already understood that you are the expert. Put your audience at ease by writing in a conversational manner. Again, think of the blog as your voice on the Internet. Write the same way you would converse with someone you just met. Keep your paragraphs short; no more than 3 sentences per paragraph. You probably noticed that’s how we write our blogs for Mountaintop. Shorter paragraphs are an easier read and makes the blog look cleaner. Use bullet points to organize your ideas. Use keywords judiciously. Please refer to our article, “How to Drive Traffic to Your Website” for more information on keyword usage. Lastly, if you are not confident about your ability to write blogs, hire the services of a professional writer. According to a study by HubSpot, websites with 400 to 1,000 pages of content generate 6 times more leads than websites with only 51 to 100 pages. In other words, the more you blog the greater the probability of gaining new leads. This is because blogging creates opportunities for readers to sign up for newsletters, e-mail content and issue requests for quotes on products and services. Blogging actively sends a message to your audience that your business is dynamic and thriving. Consistently delivering high quality blogs can help build trust, loyalty and belief in your brand. Eventually, you should expect your efforts to carryover to improved sales conversion rates. A study by HubSpot showed that businesses who worked diligently on their blogs experienced a 13-times increase in ROI compared to companies that did not put as much time and resources on publishing content. Link building is one of the 3 pillars of an effective SEO strategy. The other 2 are content writing and social media marketing. A combination of these 3 tactics will surely help you attract a good number of followers who fit your buyer’s profile. It is difficult to attract reputable and authoritative links to your website if you do not have a blog page. You can only compel other websites and bloggers to link to your website by consistently publishing usable, relevant, accurate and original content. This is why these 3 tactics should always work together. Focus on crafting amazing content and distribute it through social media on a regular basis. The more people read your blogs, the greater the chances of getting links back to your website. Here’s a question often asked of us by clients who inquire about the benefits of blogging: Can we make money from blogging? So far, we’ve discussed how blogging drives inbound traffic to your website while enhancing your reputation as an expert in the industry. If you maintain a blogging schedule; that is, publish at least 16 high quality blogs every month, you will succeed in creating traffic in your website. Increased website traffic can lead to more views on products and services, quotations and hopefully, higher sales. Advertising – Companies target high-traffic websites to post display ads. Whenever a site visitor clicks on a display ad or completes a purchase of the product, you get paid a percentage of sales. Affiliate Marketing – You can also promote products and services that are aligned with your business. For example, if you have a website on musical instruments you get paid a commission by the supplier of a digital tuner every time a reader buys the product after coming across your blog post. Physical Products and Services – Once you have built a large following and have firmly established your website as a valuable online resource, you can start selling physical products and services. These items could include e-books, training manuals, modules and online consultancy services. The highest earning blogger is Michael Arrington of TechCrunch who pulls in $900,000 every month. Statistically, however only 6% of bloggers surveyed made more than $60,000 annually. The majority or 68% earned less than $5,000 per year from blogging. The takeaway is that you should use blogging primarily as a tool to drive inbound traffic to your website. If you work at your craft and assume it like a full-time job, you may have a career as a blogger while running a business. Bottom-line is your website would be more effective by having its own blog page. Your blog is the voice that allows your business to stand out from the sea of competitors. Are you thinking of bringing out the blogger in you? Drop us an email or give us a call. We would be more than happy to help you get started on your blog page.